Russian Helicopters saw its H1 2017 revenue increase 9.1% year-on-year to 93.827 billion rubles ($1.6 billion), reads the holding company’s IFRS report. In 2016, the company had reported 86.042 billion rubles in revenue for the first half of the year, down 1.4% year-on-year. The largest share of this year’s sum was generated by rotorcraft sales, which grew 6.6% to 70.663 billion rubles. Revenue from the company’s aftersales and maintenance business decreased 10.7% to 15.589 billion rubles, whereas R&D services rendered to third parties generated 168 million rubles, up 52.7% year-on-year. 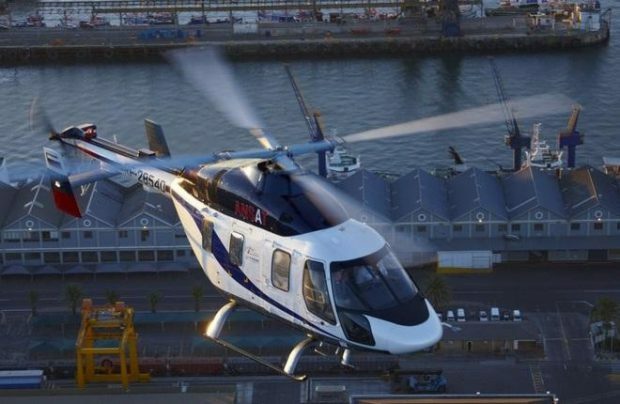 Llike before, the company’s main customers in terms of helicopter sales were Russian government agencies, such as the ministries of defense, internal affairs, emergencies, and industry and trade. They contributed “considerably upward of 10%” to Russian Helicopters’ consolidated revenue. In terms of sales geography, the largest number of rotorcraft went to to Africa. Customers from that region contributed 39.036 billion rubles’ worth to the company’s revenue (-2.6% year-on-year), followed by Asia with 26.263 billion rubles (+39.1%). Russia came third with 23.336 billion rubles (+11.1%), and the CIS, fourth with 3.131 billion rubles (+10.7%). North and South Americas together generated 1,125 billion rubles (-37.9%). Finally, Europe generated 933 billion rubles (-35.2%). Russian Helicopters’ net profits continued to slide. In the first half of 2017 it stood at 7.546 billion rubles, down 23.3% on the same period last year. For comparison, in the first half of 2016 the company’s net profit was down 25.1% year-on-year; for the whole of 2016, it plunged 61.1% year-on-year. Russian Helicopters reports that its gross profit remained roughly level with the same period in 2016 at 43.351 billion rubles (up 0.3%). Unaudited long-term liabilities decreased 5.3% compared to late last year, to 85.624 billion rubles, whereas short-term liabilities grew 9.8% to 174.872 billion rubles. The company’s financial performance mostly deteriorated during 2016. Russian Helicopters posted a revenue of 214.360 billion rubles for the year (-2.5%) and 16.204 billion rubles in profit. In the sales segment, its revenues decreased 6.4% to 165.750 billion rubles, but the aftersales and maintenance business actually grew 18.2% to 45.304 billlion rubles. The R&D segment, on the contrary, plummeted 77.5% to 491 million rubles.